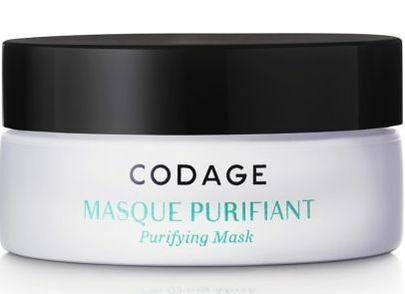 The MASQUE PURIFIANT (Purifying Mask) is a white clay and bamboo powder-based emulsion formulated for combined to oily skins. A truly purifying film, this mask's in depth cleansing unclogs pores, eliminates impurities and absorbs excess sebum. Within a few minutes, skin is left soft, comfortable and completely matified. The complexion is brightened with a radiant glow. Aqua (water), illite, kaolin, zinc oxide, panthenol, zinc gluconate, bisabolol, copper gluconate, glycerin, Bacillus ferment, magnesium aspartate, propylene glycol, phenoxyethanol, sorbic acid, allantoin, salicylic acid, benzyl alcohol, potassium sorbate. 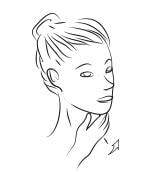 Rinse and dry your skin by stamping your face with a clean towel. 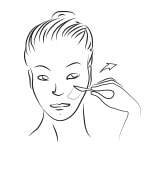 Then, apply the CODAGE serums and creams.